Rent the entire luxurious and serene residence for your vacation in Carlsbad! The Ohana Suite is the upper level of our Kai property beautifully appointed for parties of 7 or less. Completely private if rented individually. The Lanai Suite is the main level of our Kai property beautifully appointed for parties of 5 or less. Completely private if rented individually. 231 Olive Avenue. 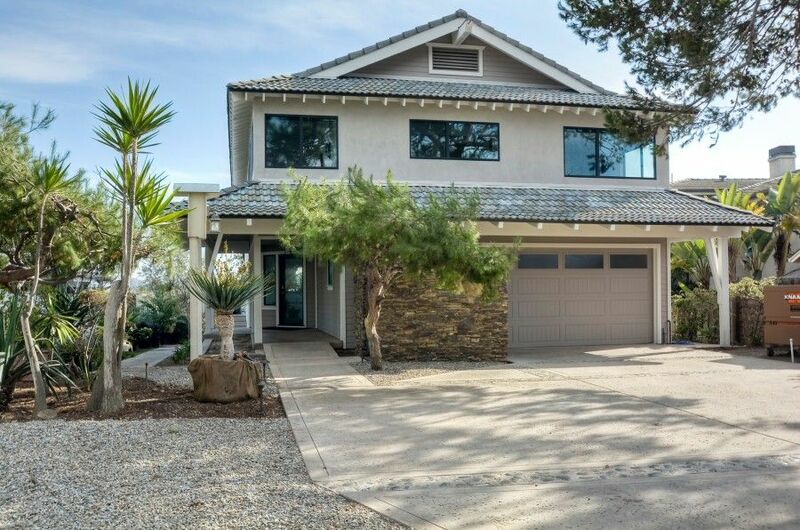 Spectacular Japanese / Hawaiian-Style Contemporary on the lagoon across from the Pacific Ocean in Carlsbad! Huge 'sky decks' from each level with forever whitewater ocean views! Rare double cul de sac location provides unsurpassed quiet and serenity. The suites are fully furnished, the kitchens fully equipped. European commercial appliances, natural gas indoor fireplaces and fire pits and BBQ’s on the decks, high efficiency forced air heating and air conditioning, 55' Smart TV's, natural stone outdoor beach shower, game room with pinball, Pac Man, Foosball, and hidden play loft in the upper level. All linens and beach towels are provided. We supply the beach chairs, beach cruiser bikes, umbrellas, boogie boards, and sand toys. 5-minute walk on a sandy path to the beach! Check for last-minute discounts reflected in our pricing! Legoland 4.2 miles and Carlsbad Premium Outlets 3.0 miles.